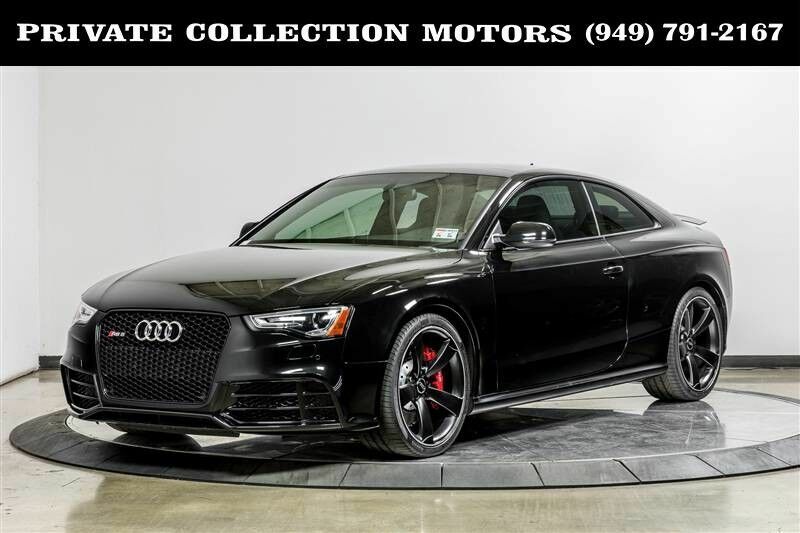 This 2015 Audi RS 5 is proudly being offered for sale by Private Collection Motors. It has only 18,000 miles and is finished in a Mythos Black Metallic exterior followed with a Black leather interior. Its sole powertrain is a high-revving 4.2-liter V-8 with 450 hp and 316 lb-ft of torque paired to a seven-speed dual-clutch automatic transmission. It has excellent acceleration thanks to its high-revving V-8 and the well-tuned dual-clutch automatic. It also handles well thanks to its stiff suspension and standard rear-biased all-wheel-drive system. This RS 5 was purchased new in Los Angeles, California and is a one owner vehicle. It comes complete with 2 keys, owners manual and floor mats. Stop by our indoor showroom and check out our vehicles! We are open Monday - Friday 10 am to 7 pm Saturday 10 am to 6 pm and Sunday 10 am to 3 pm. Let our 100% eBay feedback speak for our cars and sales staff. We welcome pre purchase inspections on all of our vehicles and welcome trade ins too. For our out of state buyers we can help arrange shipping to anywhere in the US. For more information please contact our experienced sales team at 949-791-2167. We look forward to hearing from you.